After the raging success of our cinnamon pizza I think we may be a little obsessed with the idea of sweet pizza. It only took a little convincing on the part of my girls for me to head to the supermarket to buy berries, choc chips and marshmallows. I mean you can’t go wrong with that combination surely? We had plenty of dough in the freezer from our first try (the recipe makes enough for three small pizzas) so all I had to do was remember to pop it in the fridge in the morning so it would be defrosted by the time school was finished… then we got to work! 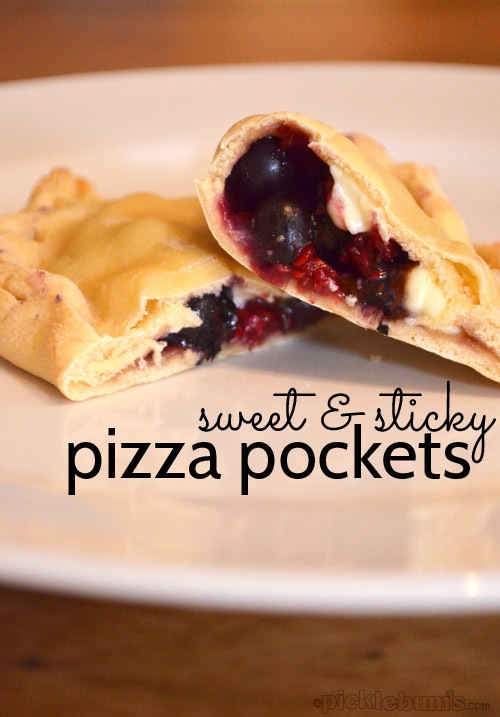 I decided to go with pocket pizzas (you can check out our savory pizza pockets here) this time, just for something different, and I thought it might be better to keep the sticky, melted filling inside a pocket rather than dripping off a flat pizza slice. This also meant that everyone got to make their own, making a little pile of whatever goodies they liked best. 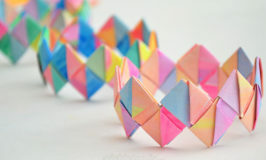 These are easy enough for even the smallest hands to join in and make one. With the remaining third, roll it out till it is quite thing and using an appropriated sized circular object (I used a bowl) cut circles of dough and place them on a lined baking tray. Pre-heat your oven to 220C (approx 425F). Set out containers of your filling and let everyone pile up one side of the circle with the goodies of their choice. Remind everyone not to fill it too full, and to keep to one side. 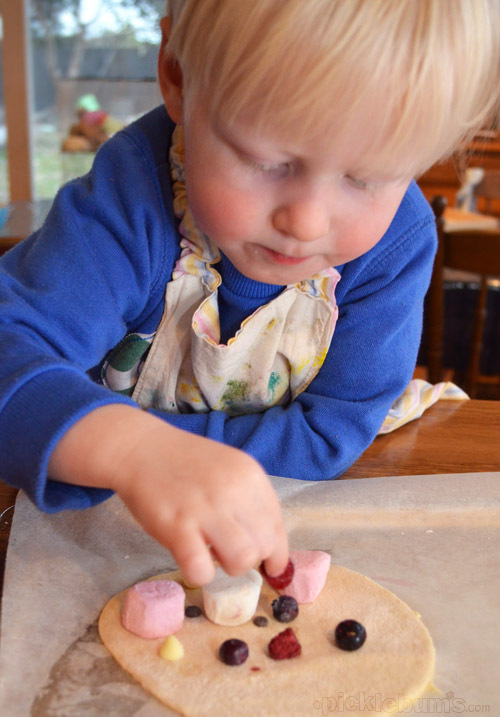 Once the goodies are arranged, carefully fold over the dough to make a semi circle. Fold over and press down around the open edge to close the pocket. You may want to shape small scraps of dough into the first letter of everyone’s name to place on the top so you have a way to tell who owns which pocket. 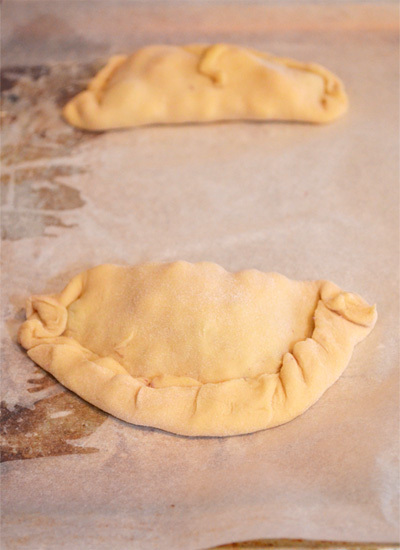 pop them in the oven for 15 minutes or until the edges are golden and crispy. 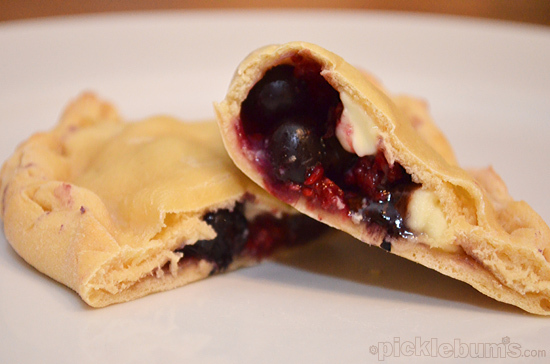 Be warned… the insides of these pockets are HOT when they come out of the oven, be sure to wait a little while till they cool a little, but don’t wait too long because these are best eaten while they are warm and gooey! 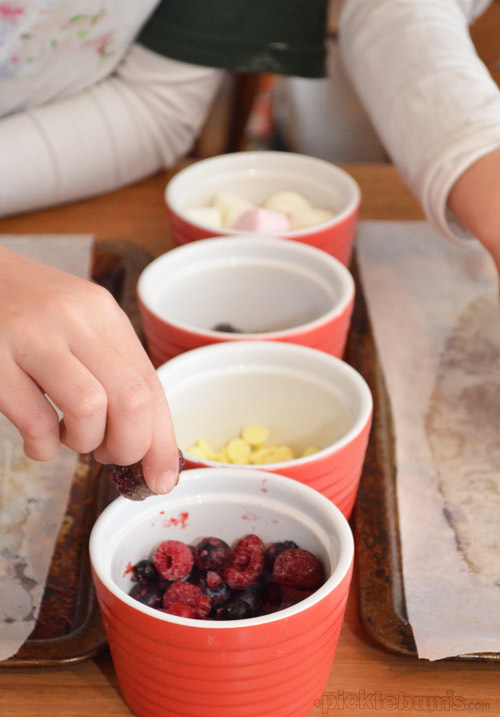 I was going to sprinkle them with icing sugar to make them look pretty… but we ate them before I could do that, so you’ll just have to imagine it. 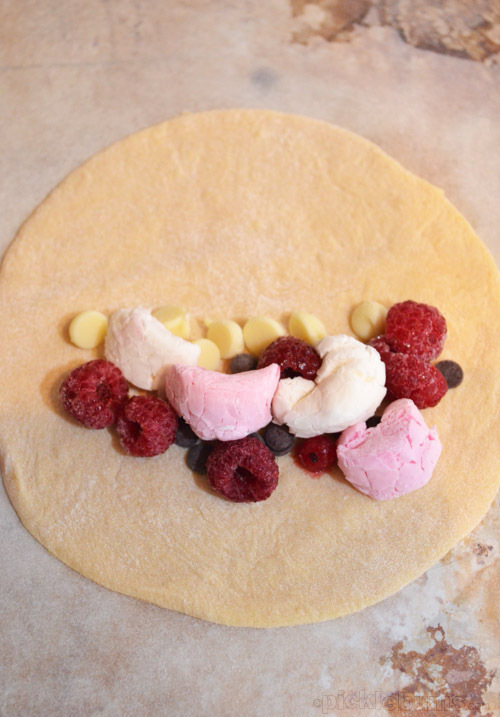 So the next question is… what should we combine with our sweet pizza dough next time. Because you know there will definitely be a next time!